Being an experienced rider will not only allow you to fly on the open road without falling down, but also give you more chances to date more biker girl who loves the biker lifestyle. Some women who have a desire to learn how to drive or want to meet a perfect Harley man will start with experienced riders who boast excellent riding skills and are more charming than others. So, how to be an experienced biker can be crucial for all bikers. 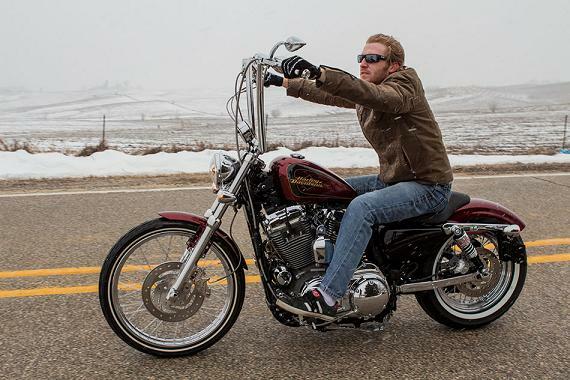 Here are tips of traits to become a better motorcycle rider. Calm - The biker you know may be the most outgoing, gregarious people you’ll ever meet. But once he gets on the motorcycle, he will keep silent all the way. They cannot allow themselves to get upset or get excited, which will be the start of making mistakes. No mistake is allowed on the motorcycle. Can you imagine what a small mistake can matter on such a giant machine at a fast speed. Quick Thinking - An experienced rider knows how to take in and sort through thousands of pieces of information at once mentally, allowing him to think quickly and avoid any trouble on the road. He always keeps his eyes up to scan the road, the intersections, the behaviors of other traffic and other things that may cause trouble to him. This way, a veteran biker can react quickly when things happen to prevent him and his biker girl getting hurt on the motorcycle. Instinctual - Riding for years has granted him ways to handle unanticipated things quickly and correctly. When things happen unexpectedly, the experienced riders know how to handle and control his motorcycle without thinking. This skill is deeply rooted in his mind, which will save him insensibly from falling down or getting nervous on the motorcycle.